We all seem to be a bit nostalgic about the former glory that was F1, and we are all more or less bitching about the current state of affairs. Basically we are mostly old farts nostalgic about the "good old days", and we go on and on about the scandals and cheating that has been going on in F1. Anyway, I have not yet read the book myself, but knowing Bob this is just a book all you guys MUST read. Seriously, having had a number of conversations with the man, I always wanted to hear more. 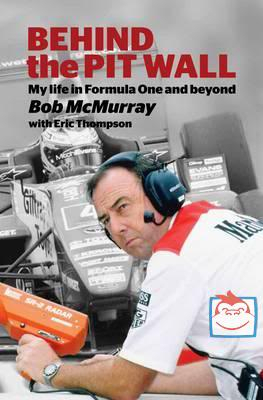 It's like as if one of us had worked for 30 years in F1 (and the 30 years we all love and miss), knew all the stuff that went on behind the scenes, and then wrote a book to tell it. Re: The Book You Must Read! Great tip, Henrik. Will certainly look for it. Excellent, love reading these kind of books, thanks for the tip. - Life at the Limit (Prof. Sid Watkins). An account of F1 from his perspective. Really mind boggling how poor safety was even as late as the 80s. Also some insight into some of the more horrific accidents and scenes he faced, Martin Donnelly and Ayrton Senna in particular (intersting how Senna was present at Donnelly's crash). - Crashed and Byrned (Tommy Byrne). 'The greatest racing driver you never saw'. Cleaned up in the lower formulae and had his big chance with a McLaren test drive which was 'fixed' because he didn't fit their image. He lapped quicker than the other young testers despite McLaren slowing his car. A real talent lost.